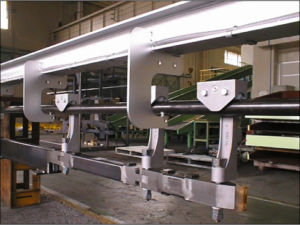 In response to Customer’s principle to satisfy necessary function considering smaller, fewer, lighter, shorter and neater concept in designing the system, MTC & Tsubakimoto Material Handling division, Japan developed Speed Rail Friction system (SRF). 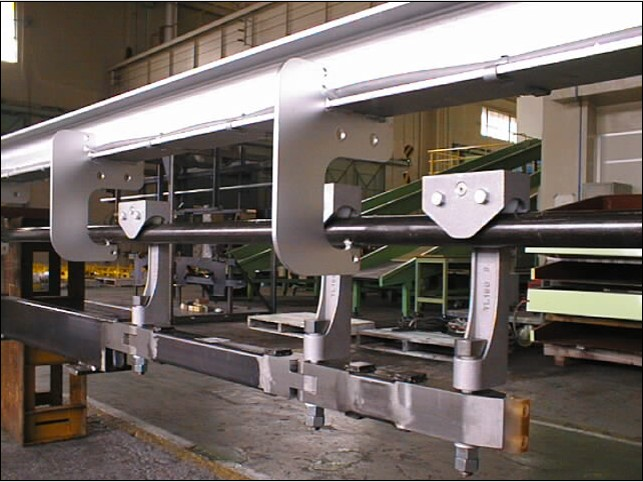 MTC set up the prototype overhead Speed Rail Friction (SRF) system. All the parts are indigenised & fulfill the design requirements. After rigorous tests & trials, system is successfully commissioned. 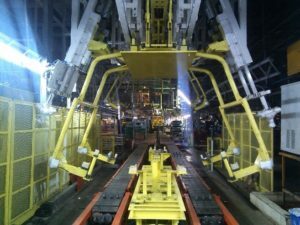 After satisfactory demonstration, MTC succeeded in receiving first major order for SRF overhead conveyor system from major Japanese automobile manufacturer for their expansion project in Western India for handling Car door in Assembly line. 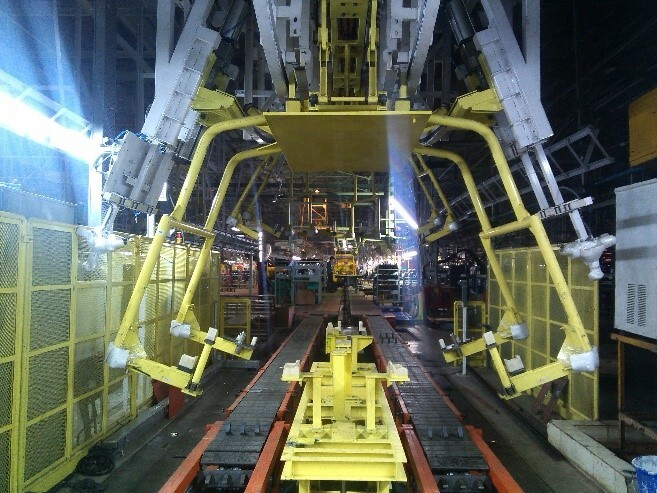 MTC has successfully completed the execution & SRF system currently supports in producing 350 plus Cars per day. 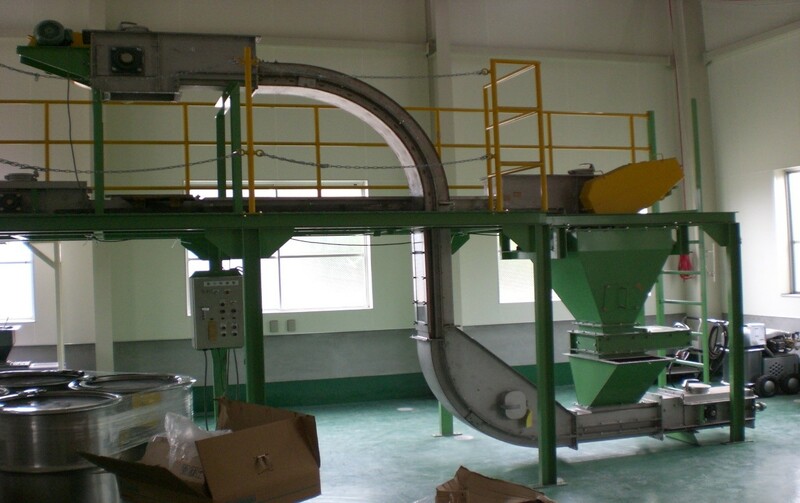 Customers often have requirement to handle powdery material, during the process or to collect spillage etc. in an intricate layout. 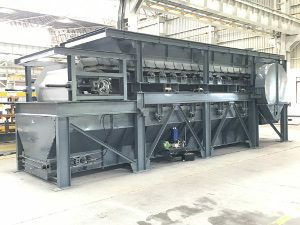 The challenge is to design a compact and reliable conveyor which is capable of transporting different types of materials along horizontal and/or inclined paths. In association with JV Partner, Tsubakimoto Bulk Systems Corp., Japan; MTC has developed and launched “NFV- Flightveyor” series of conveyors which can meet the customer expectations for these specific requirements. 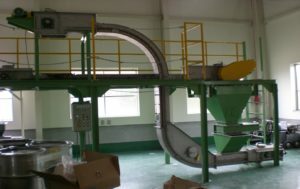 The conveyor is of proven design and performance, with large number of successful installations by Tsubaki in Japan and elsewhere. MTC built a prototype based and carried out trials with different materials to validate the performance. Upon successful development of NFV prototype, MTC has received several orders in domestic and export markets.